Music Performance & Education, Inc.
*Jennifer's Performance schedule is updated for the 2018-2019 season. Performances with Pharos Quartet and the BU concert band highlight the spring. * Pharos Quartet has become the first ensemble to be named Rovner Ambassadors. *Jennifer premiered John Plant's Faustus: a SaxOpera with the Boston University Wind Ensemble on October 6, 2016. ​*Jennifer has started a new non-profit corporation. Music Performance and Education, Inc.
​Look under collaborations for more information. 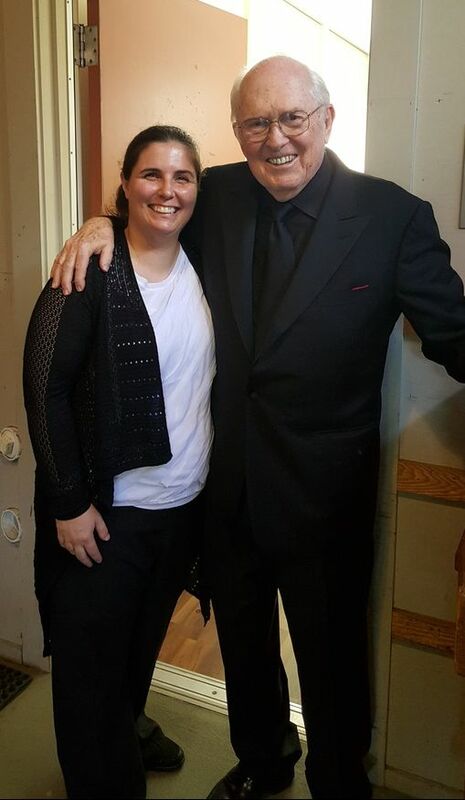 Jennifer with H. Robert Reynolds post Ticheli Concerto at Tanglewood August 2015.